The year 1977 was momentous not only for the beginning of the personal computer revolution, but also as the first time that the world saw whole-body MRI images. Now, this magnetic field and radio wave-based technology is a staple of medical imaging, used to noninvasively diagnose a variety of conditions ranging from torn ligaments to tumors. The year 1977, (an unbelievable) 42 years ago now, was a momentous year. The first Star Wars film, Star Wars: Episode IV - A New Hope, and the disco-era Saturday Night Fever were released, and the “King of Rock and Roll” Elvis Presley passed away at Graceland in Memphis. In this same year, a start-up computer company in Cupertino, California, Apple Computer Inc. (now Apple Inc.), was incorporated by Steve Jobs and Steve Wozniak. The pair launched the groundbreaking Apple II personal desktop computer system in June 1977. This first-of-its-kind, preassembled marvel, pictured below, boasted a MOS Technology 6502 microprocessor running at 1.023 MHz, 4 KB of RAM (nowadays we only talk gigabytes! ), color display, an audio cassette interface for loading programs and storing data, and the Integer BASIC programming language. The original retail price was $1,298 with 4 KB of RAM, and $2,638 with the maximum 48 KB of RAM. 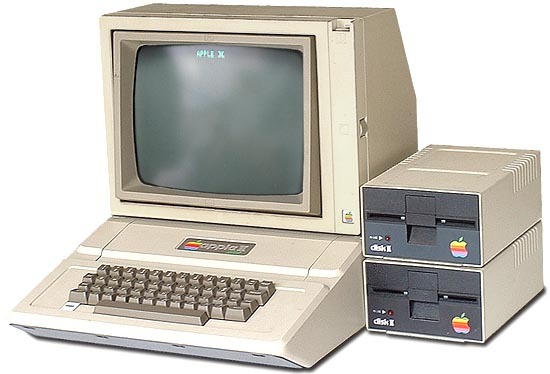 The launch of the Apple II and the PC era in 1977 forever changed modern life, but so did another event of historical significance, in medtech history. In July of that year, the first magnetic resonance imaging (MRI) body scan of a live human was taken. The technology has its beginnings in the 1930s, and its evolution into a medical imaging mainstay was made possible by contributions from numerous visionary scientists. Nuclear magnetic resonance (NMR), as it was originally called, was first described and measured by American physicist Isidor Rabi, PhD, in 1938, and in 1944, Rabi was awarded the Nobel Prize in Physics for this work. In 1946, Swiss-American physicist Felix Bloch, PhD, and American physicist Edward Mills Purcell, PhD, expanded the technique for use on liquids and solids, for which they shared the Nobel Prize in Physics in 1952. Controversy looms over subsequent discoveries and scientific credit given in the 1970s with regard to the development of MRI technology. During this time, two researchers developed competing techniques to use NMR to create images of the human body: Raymond Damadian, MD, a New York medical doctor; Paul Lauterbur, PhD, a chemistry professor at the State University of New York at Stony Brook (and later the University of Illinois at Urbana-Champaign), who worked with Sir Peter Mansfield, PhD, a British physicist from the University of Nottingham. Lauterbur published the first true MR image in Nature in March 1973. His experimental setup involved two 1-mm-diameter tubes filled with water placed in a 1.4T magnet. Applying magnetic field gradients rotated successively by 45°, he was able to obtain four different one-dimensional projections of the NMR signal. These data were then mathematically "back-projected" to form a two-dimensional tomographic image. Also in 1973, Mansfield demonstrated how a linear field gradient could be used to localize the NMR signal on a slice-by-slice basis. Later in the decade, Mansfield and his collaborator, Andrew Maudsley, PhD, produced the first image of a human body part, a finger, in 1977. Lawrence Minkoff, PhD, post-graduate assistant, sitting in Raymond Damadian, MD’s self-built Indomitable MRI machine for the acquisition of the first-ever MRI image of a human, July 3, 1977. During this same time, Damadian was researching NMR from a different perspective—as a phenomenon that might be used to probe the body and diagnose human disease. In 1972, he filed a US patent application for an apparatus and method to detect cancer in tissue. Although the details of exactly how this apparatus would produce images were not included in the application, Damadian and his team set out to build such a device, which they named "Indomitable." By mid-summer 1977, the first whole-body MR images were being produced, with the first one being an image of his assistant's chest (see image here). Damadian called his imaging method "field-focused NMR" or FONAR, which became the name of his company, the first to manufacture clinical MR scanners commercially. However, it was soon recognized that the specific imaging method he had devised was not practical for routine clinical imaging, and it was abandoned in favor of the methods of Lauterbur and Mansfield in subsequent product versions. In 2003, Lauterbur shared a Nobel Prize for Medicine with Mansfield for their contributions to what became the modern MRI. When the winners were announced, Damadian considered it a personal injustice that he was excluded. He placed full-page ads in several large newspapers urging the Nobel committee to change its mind. The decision stood.